We’re okay, it’s just that the bus took an involuntary detour today — off the road and into the ditch. Thankfully, assistance was only as far away as the closest house, and we were pulled out very easily, with no damage to the Gifted Gypsy. I was driving with my tires too close to the edge of the built-up road and the edge fell away with us on it! Thankfully, we were going very slowly, and no one was hurt. Although we were sitting at such an angle that my wheels were off the ground, the bus still wasn't resting on its chassis. 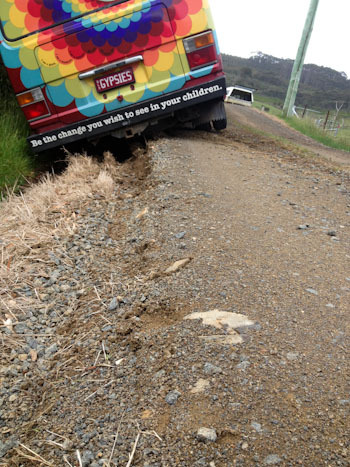 I feel that this has been a gentle lesson to me about how to drive differently to suit the roads here in Tasmania. 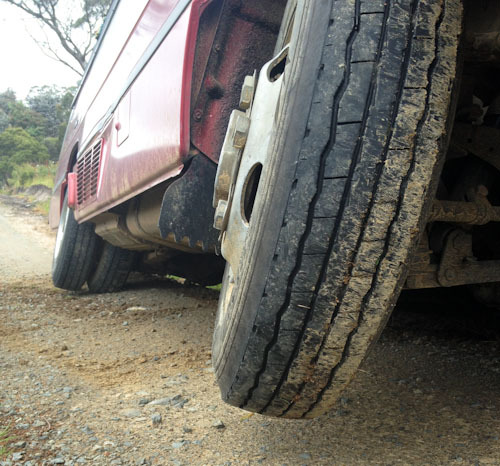 We could have fallen over (but didn't), and I don't intend to drive us off the road again! So, from now on, I know to stay away from the dodgy edges of gravel roads. I did get a giggle, however, when I was looking through Raoul Bay Retreat’s photos and saw someone else had slid off the road before me! Wow. Good thing you didn’t roll over! Wow glad everyone was alright. It’s a simple mistake to make but can be very dangerous. Out of all the states we have traveled through we have found that the suggested speed signs in Tasmania definitely need to be obeyed. 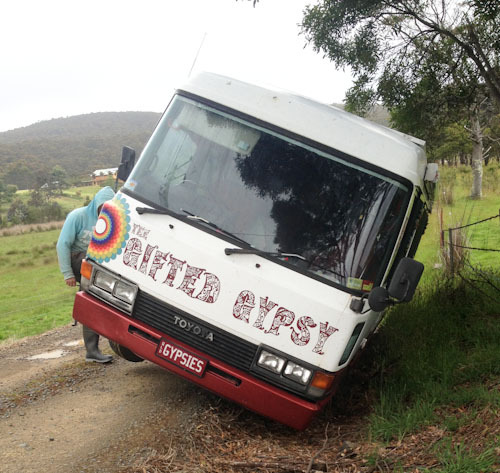 In some other states you can push a little on the bends and corners but in Tassie you cannot. Be careful! Hugs for you too as a mama of 5. They are all in your heart even if not in your arms.